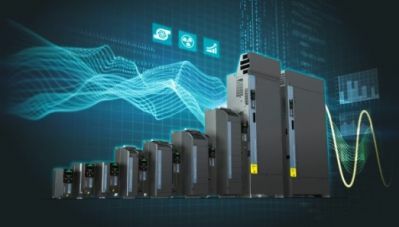 Siemens is introducing the new Sinamics G120X drive, a simple, seamless and easy-to-use drive, designed for use in pump, fan and compressor applications in industrial environments. Sinamics G120X has a power range of 1-700 hp (0.75-630 kW) and can operate in a temperature range from -4 to +140° F (-20 to +60° C) with any standard motor, including synchronous reluctance motors (SRM). It has an integral DC choke which improves harmonics and EMC performance. Sinamics G120X meets all the latest and upcoming UL, NEMA and EN/IEC standards for 2019 and beyond and offers up to 100 kA short-circuit current rating (SCCR) ensuring enhanced product safety and energy efficiency. "The Sinamics G120X offers outstanding 'out-of-the-box' ease of use and is simple to commission and operate using its high-resolution graphical color keypad, known as IOP-2 (intelligent operator panel), as well as the optional Wi-Fi-enabled Smart Access wireless module -- both optimized for pump and fan applications," states Nikunj Shah, product manager, Siemens, Digital Factory, US. Shah continues, "Sinamics G120X drives offer an automatic restart function after power failures and the multi-pump/staging operation mode allows the user to control several pumps using just one drive. Its energy-saving mode automatically switches the motor on and off to save energy and reduce wear. G120X also has built-in energy functions which display energy consumed as well as energy saved." Sinamics G120X is fit for digitalization and can be linked to Mindsphere by using Sinamics Connect 300 and the Mindsphere app Analyze MyDrives. This offers users the opportunity to analyze valuable operating data gathered from the drive and enables the visualization and analysis of status information, providing users with valuable data which can be used as the basis for process optimization and maintenance strategies. 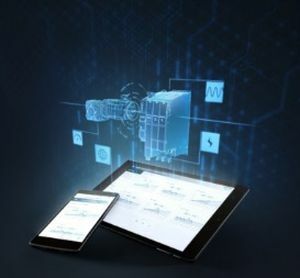 Mindsphere is the cloud-based, open IoT operating system from Siemens that connects products, plants, systems and machines, while enabling a user to harness the wealth of data generated by the Internet of Things (IoT) with advanced analytics.